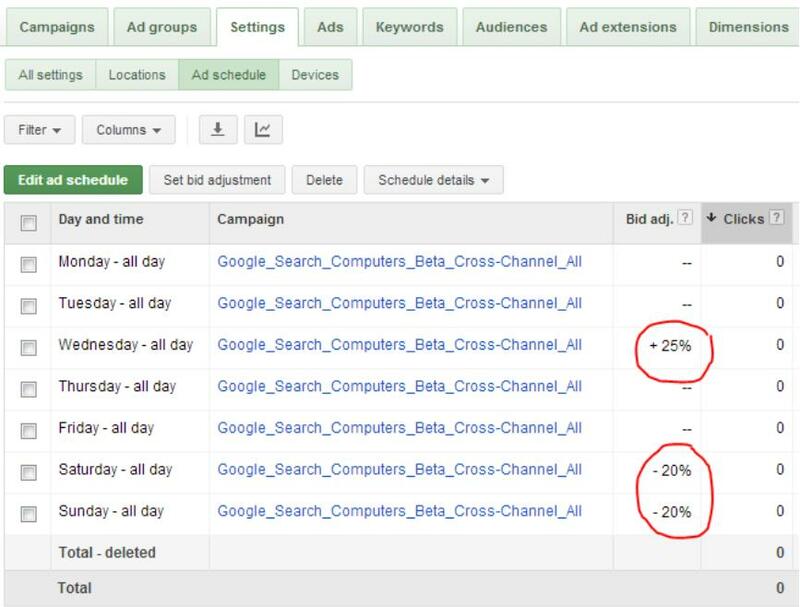 Note from the editor: Today, July 22, 2013, Google AdWords accounts are being switched over to Enhanced Campaigns. 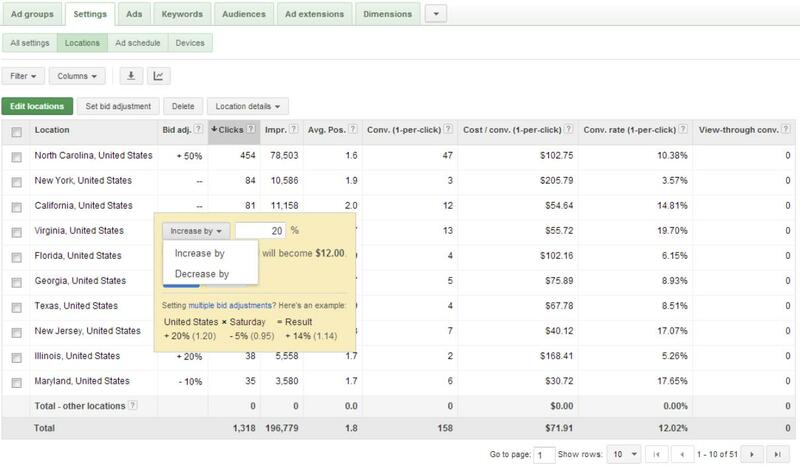 This guest post by Rick Farago, Sr. Account Manager at PPC Associates, provides some guidance to those unfamiliar with the new feature set of Enhanced Campaigns. 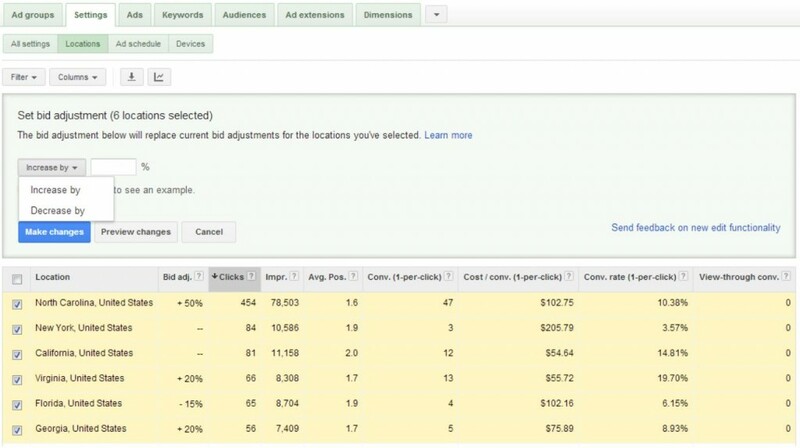 For more info on Enhanced Campaigns and why Google introduced them, check out insights from PPC specialists in our liveblog posts “PPC Best Practices in an Enhanced Campaign World” and “Enhancing AdWords for a Constantly Connected World.” Now, take it away, Rick. Enhanced Campaigns, they are a-comin’. The pros and cons have been heavily discussed, so we’ll jump right to a few set-up tips that can help you get a jump on optimization. Be as granular as possible with geo-targeting. Select states, regions, or metro areas over countries. This will allow you to optimize your bidding by geo. Get a head start on setting this up; you’ll need to allow enough time to collect data before optimizing. Once you are ready to optimize, go to the locations tab under the campaign settings tab and click on the “Bid adj” for any geo. Select increase or decrease from the drop-down, set the percentage, and click save. Rinse and repeat for all other geos. Setting up geo-targeting – Step 1: Go to the locations tab under the campaign settings tab and click on the “Bid adj” for any geo. Setting up geo-targeting – Step 2: Select increase or decrease from the drop-down, set the percentage, and click save. In the case where you have numerous geos to set at the same bid adjustment, you can select multiple geos and set them all at one time. Setting up geo-targeting – Step 3: In the case where you have numerous geos to set at the same bid adjustment, you can select multiple geos and set them all at one time. Campaigns perform differently during the week versus weekends, so set your campaign ad scheduling to allow you to optimize for weekdays versus weekends by selecting each day of the week. Go to the campaign settings tab, click on ad schedule, and click “Edit ad schedule” button. On the drop-down menu, select Monday and then click on “Add” to add another daily schedule until all days of the week are showing, then click save. 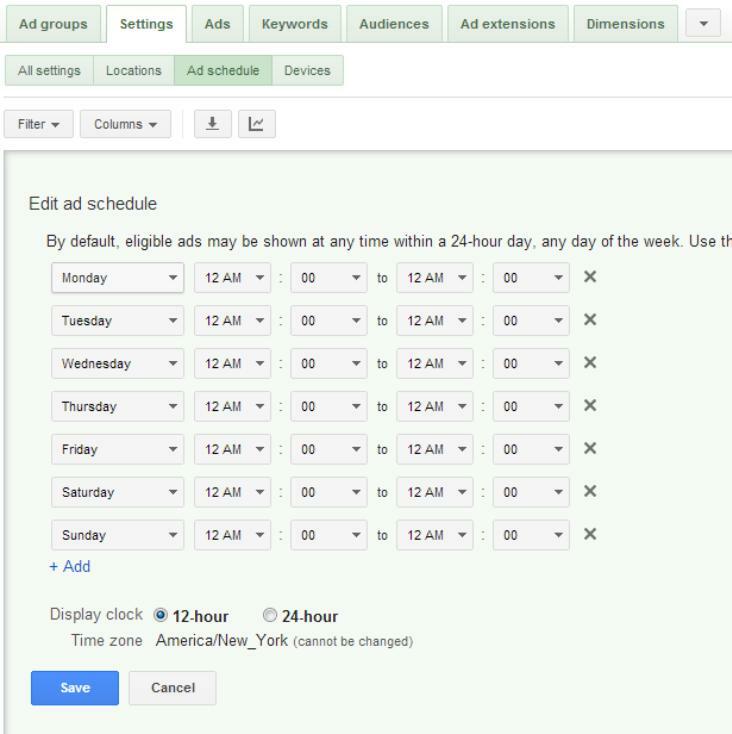 Ad scheduling – Step 1: Go to the campaign settings tab, click on ad schedule, and click “Edit ad schedule” button. Ad scheduling – Step 2: On the drop-down menu, select Monday and then click on ““Add” to add another daily schedule until all days of the week are showing, then click save. When it comes to mobile, some campaigns will do better and others will do worse, so make sure to take advantage of bid adjustments for your mobile targeting. You will also want to take advantage of creating ads specific for mobile devices. 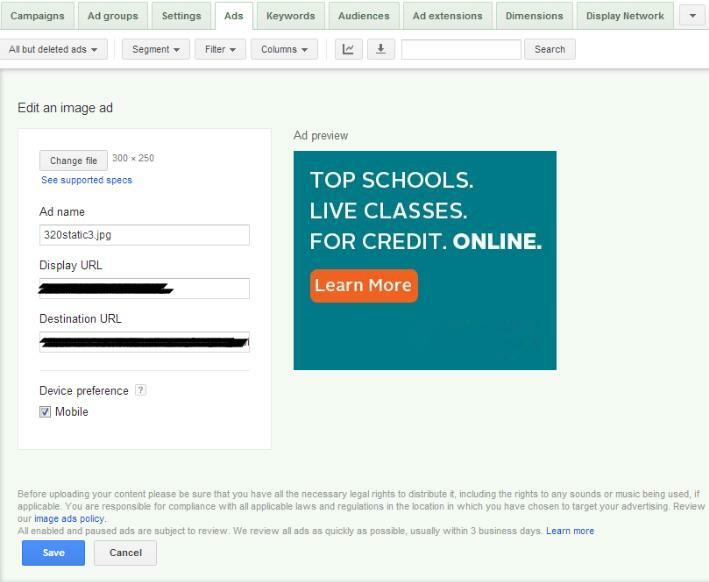 Make sure to check the mobile box during the ad creation process when creating ads for mobile. Both text and image ads can be mobile-specific. 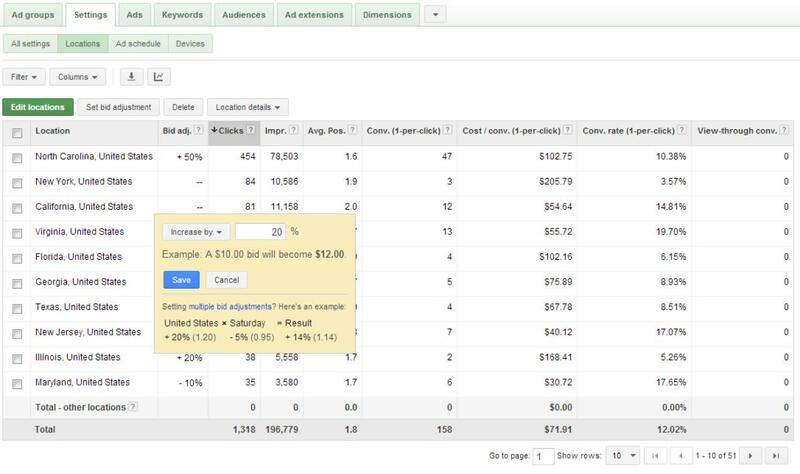 Make sure to check the mobile box during the ad creation process when creating ads for mobile. Both text and image ads can be mobile-specific. Enhanced Campaigns, all protests aside, do introduce a lot of useful features. Get used to using them now, and someone will thank you (and your metrics) later. Rick Farago, Sr. Account Manager at PPC Associates, has worked in the search engine marketing industry since 2003. Rick has extensive experience in SEM, having managed analytics, paid search, and SEO campaigns in his previous roles with ivgStores, Rockett Interactive, and Marketsmart Advertising. In his spare time, he enjoys playing hockey, traveling, rebuilding computers, and gloating about his beloved Blackhawks' Stanley Cup victory. Thank you Rick for sharing such a useful tips. Well while creating campaigns – Targeting for mobile can be a really lucrative technique, if one can target effectively on the basis of their product or services.